The Southern Partnership will engage with the wider community to identify issues and opportunities, and advise State Government on the priorities for this region. Housing – Provide greater access to affordable housing options across the Southern region. Jobs and skills– Better education and training opportunities and pathways to employment for young people in the region. Water– Broad scale uptake of fit-for-purpose recycled water across the Southern region providing a climate resilient water resource for long term economic growth and environmental benefit. The Partnership held its second annual Assembly on Wednesday 1 August 2018 at Patterson River Secondary College, Seaford, where it heard directly from the community about how to further progress priorities for the region. Watch the video below to see the 2018 Assembly in action, or read the 2018 Southern Assembly Summary Report. In May 2018, young people from the south shared their ideas for maintaining and improving the livability of their community at the first Metropolitan Partnerships Youth Forum. To find out what participants had to say about what's important as a young person living, working and studying in Melbourne read the 2018 Metropolitan Partnerships Youth Forum report and watch some of the highlights from the Southern breakout discussions. On 11 October 2017, 136 community members, business representatives, councillors and mayors came together to help determine the key priorities for the Southern Metro region. The outcomes of the Assembly have been used by the Partnership to inform its advice to government on the priorities for the Southern region. Melbourne’s Southern Region spans bayside, growth areas and regional hubs of Frankston and Dandenong, and extends from its northern border at Cheltenham and Moorabbin, to the southern tip of the Mornington Peninsula and the eastern limits of Pakenham and Officer. 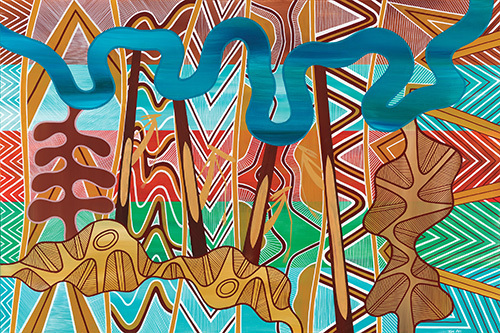 We acknowledge the Aboriginal people as Australia's first peoples and as the Traditional Owners and custodians of the land and water on which we rely. Read more about the Southern Region.